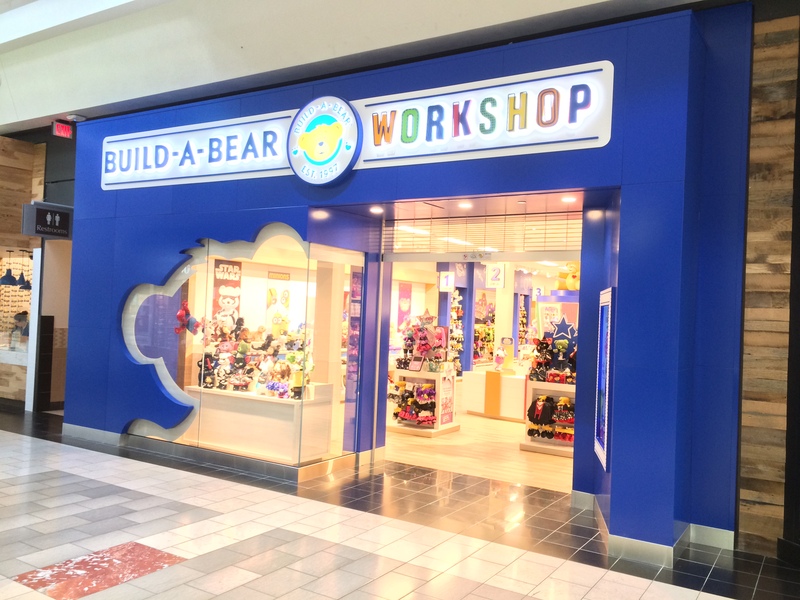 Metal Design Systems began working with Build-A-Bear Workshop in the Spring of 2015 to design a system for their new branding image. 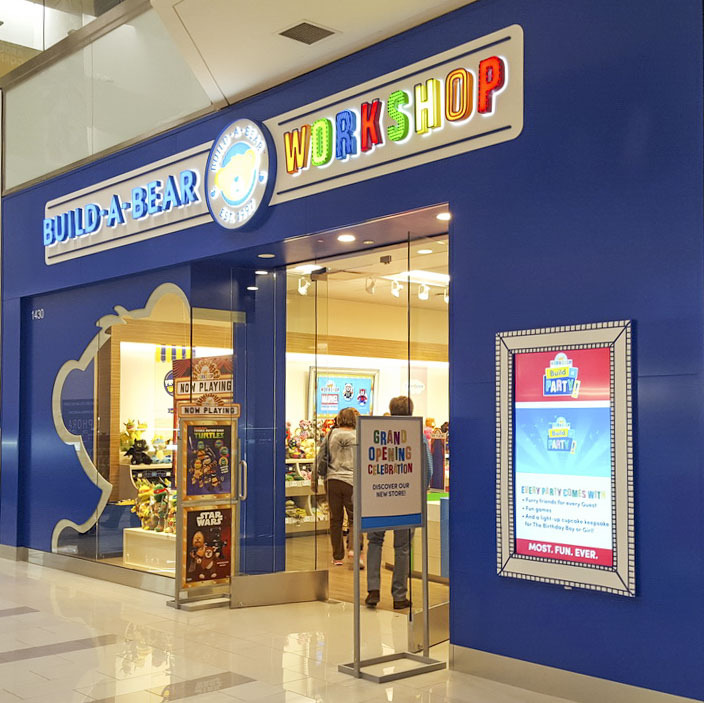 The custom solution, developed by our design team, utilizes Aluminum sheet construction with a unique inter-locking extrusion developed specifically for Build-A-Bear. 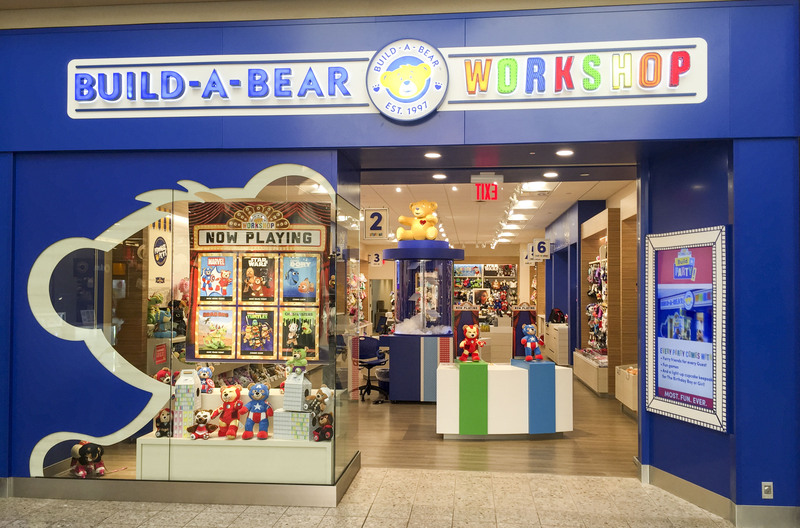 The storefront has a wood grain vinyl applied in house for the Build-A-Bear cut out, while a custom monitor box was installed for precision and simplicity in coordination. 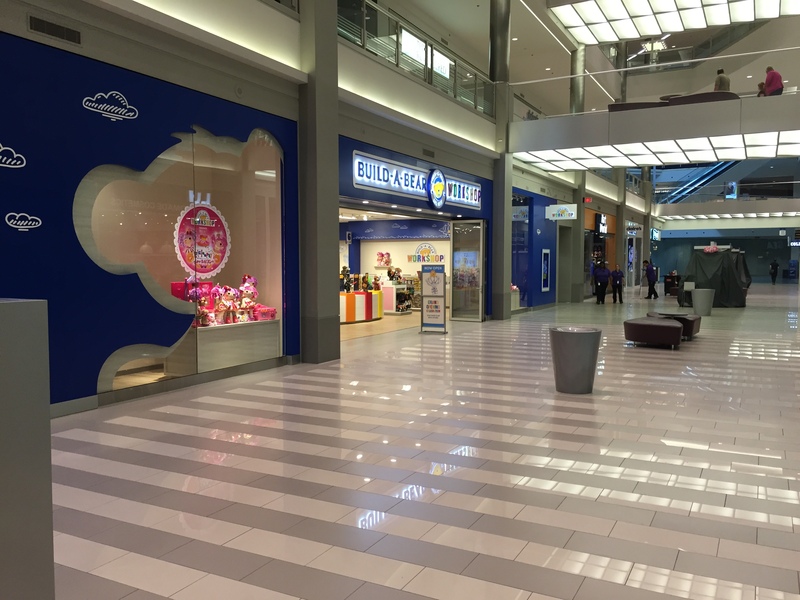 A custom paint finished was applied for a consistent look. 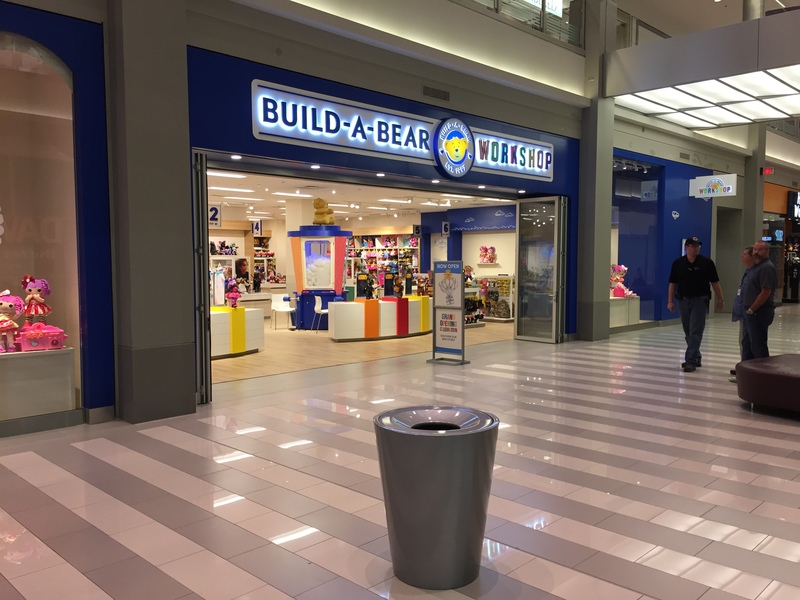 Followed by a full size mock-up in our facility, the Christiana Mall in Newark, Delaware was the first prototype store. 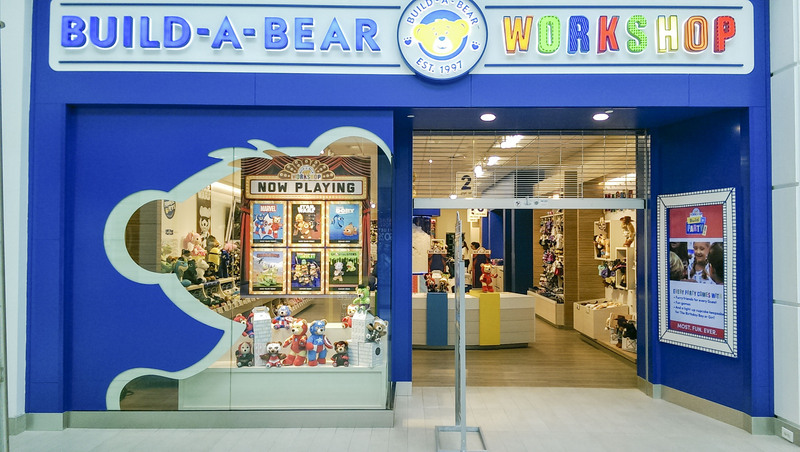 Twelve more sites scheduled for the remainder of this year. 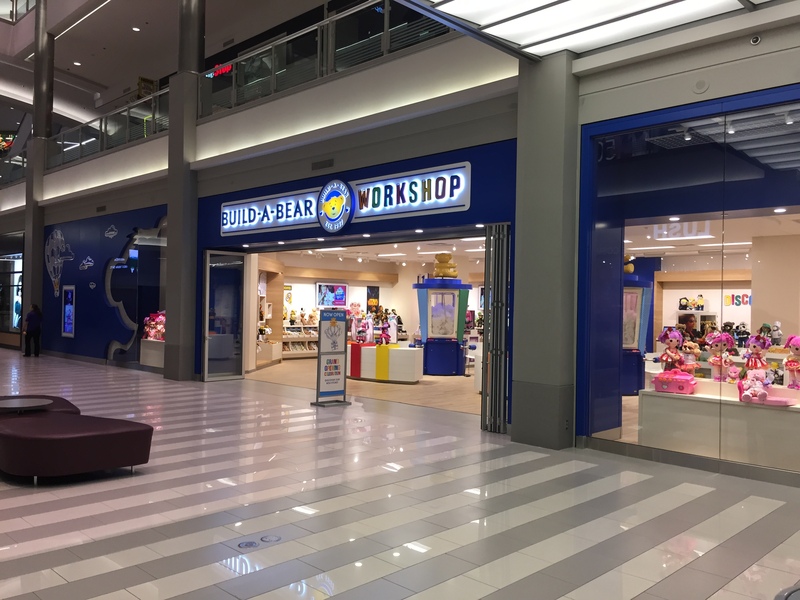 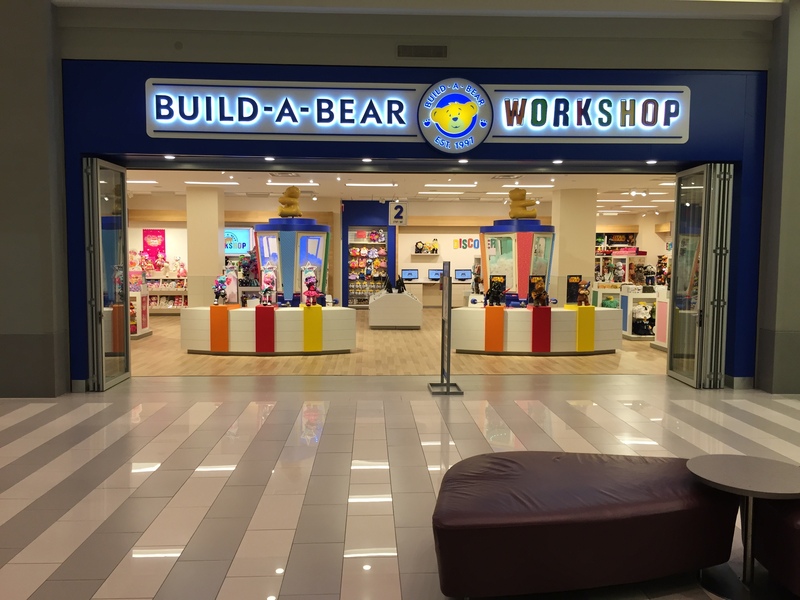 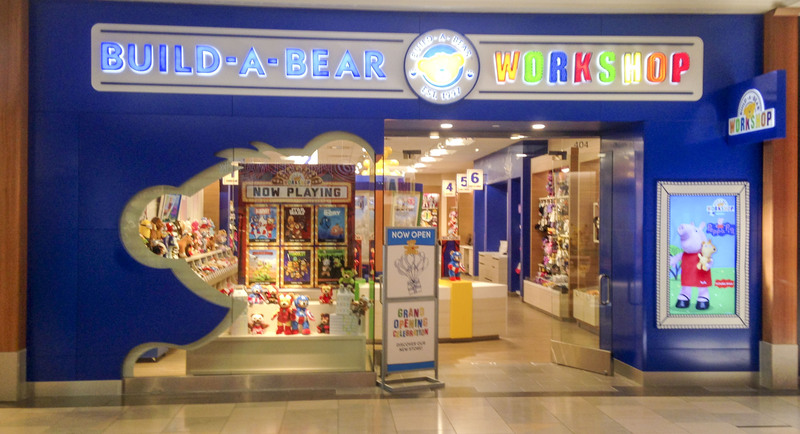 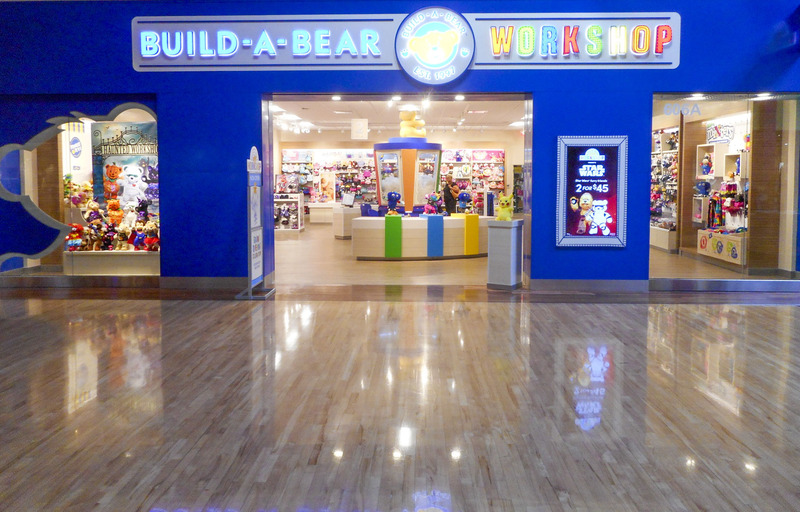 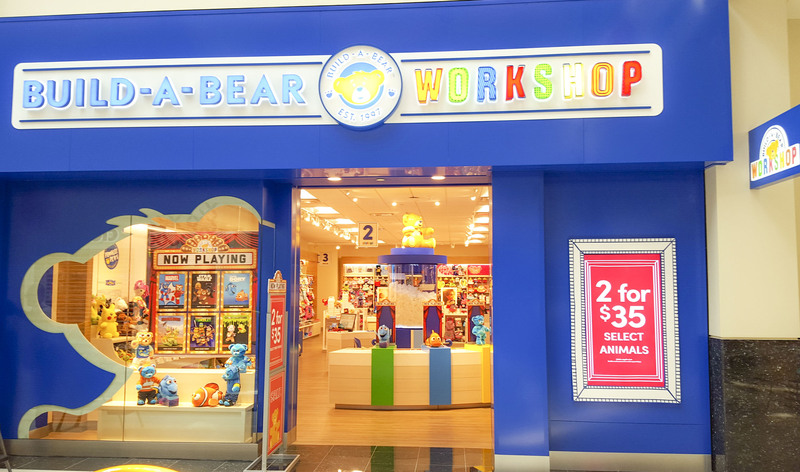 Build-A-Bear Workshop, located at the Mall of America in Bloomington, Minnesota are featured in the images above.